Mr. Harold Lee Melvin 67, of 5625 Monks Walk Court, Fayetteville, North Carolina passed away on May 26, 2018 at the VA Nursing Home. 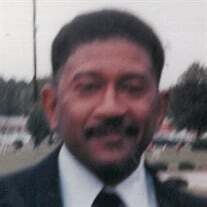 The family of Mr. Harold Lee Melvin created this Life Tributes page to make it easy to share your memories. Send flowers to the Melvin's family.